We greet all of our patients by name. We genuinely care about you and your family. We go above and beyond to make sure you are comfortable in our care. We get to know you on a personal level (not just medical and dental history). We provide exceptional dentistry with the help of a knowledgeable staff and state-of-the-art equipment. We call to check up on you a few days after your treatment. 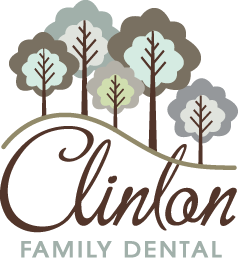 Schedule your first visit to Clinton Family Dental today! For your convenience, you can download our new patient forms, print them out, and bring the completed forms with you to our office. This will help expedite the paperwork at your first visit. Adobe Acrobat Reader is needed to download these forms. 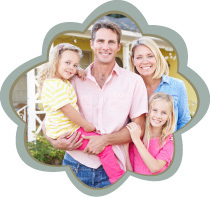 With work, school, and extracurricular activities filling up your family’s schedule, we understand it can be hard to find time for everyone’s dental visits. To help you get the treatment you need and get on with your busy life, we offer family-block appointments that allow everyone to be seen at the same time or back-to-back. We know that when you are suffering from dental pain, you need to be seen right away. We set aside time each day to make sure we can see emergency patients the same day they call our office. Let us help you get some relief immediately!